This is the smallest of the wood pellet mills that I make, it is equipped with a 225mm die and uses both a hypoid gear to make the right angle turn, and then has a planetary gear between the main gear and the mixing chamber. It looks like a small section of pipe with a flange connector on each end. Other than that planetary gear used to increase torque while decreasing RPM it is pretty much the same as any other fodder mill used to make feed pellets. It has a 7.5 KW (10hp) three phase electric motor and is rated at 240 lbs per hour of pellet production for wood pellets. 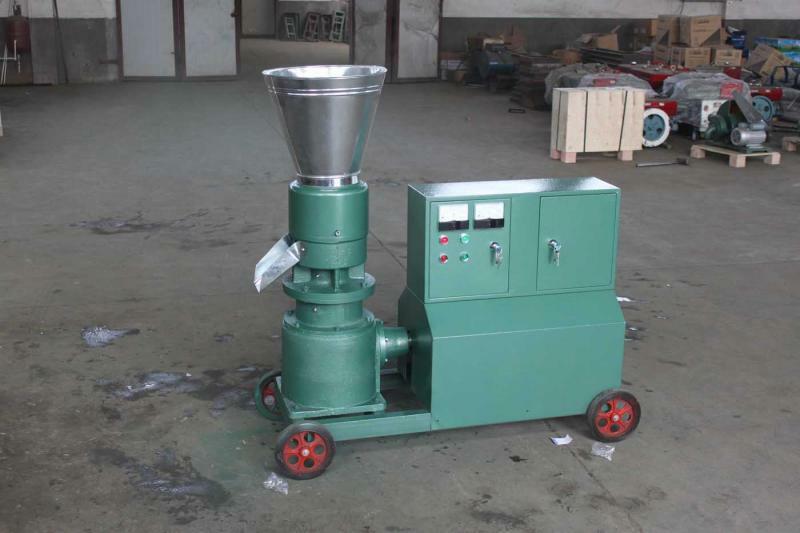 It will also make pellets out of most any leafy fodder or grain used to make animal feed, but because it has the extra gear reduction it doesn't produce as much per hour. If you want to make feed pellets you should be on the feed mill page.